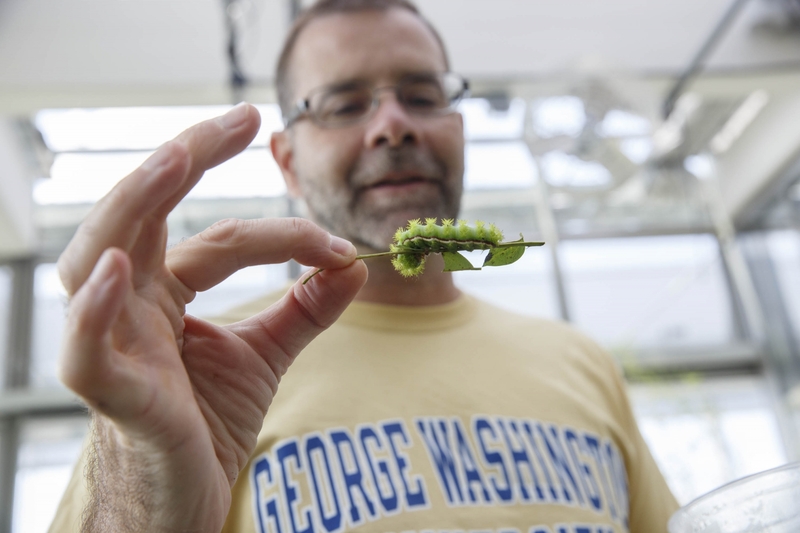 Eight floors above the noise of Foggy Bottom, a budding greenhouse is transforming the way scientists at the George Washington University study the world. 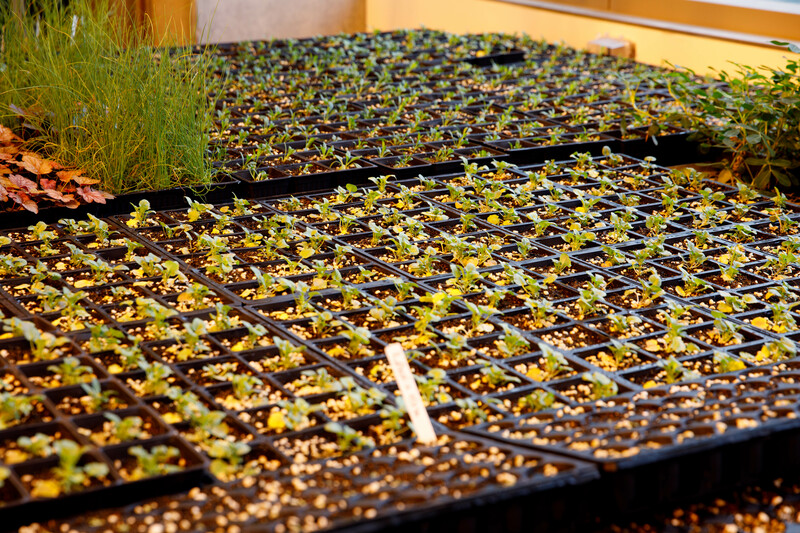 The high-tech facility is home to nearly 100 different plants connected to GW researchers across disciplines. 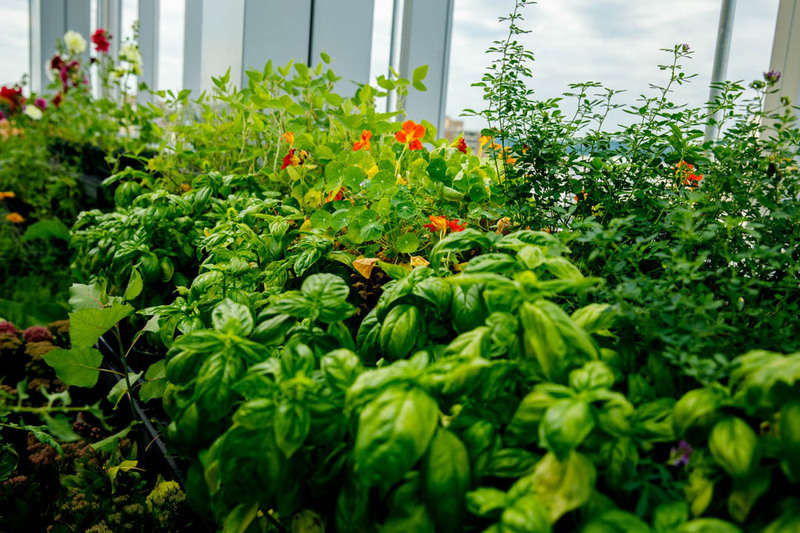 The greenhouse on the top floor of Science and Engineering Hall opened in 2016, and a year later the plants are in full bloom with space to grow. 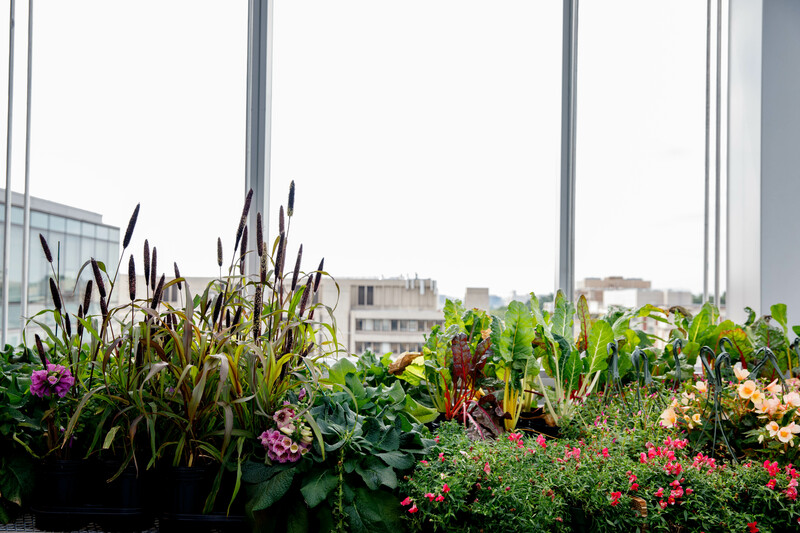 The 1,225-square-feet of indoor and outdoor space is a high-tech operation overseen by greenhouse manager Rachel Klein. On any given day, Ms. Klein can spend three hours or more just watering all the plants. She prunes the research plants and looks after seedlings as they start to sprout through the dirt. She looks after a handful of tomato plants, a banana tree and a small poisonous collection of deadly nightshade and angel trumpets. After months of delicate care, Ms. Klein has started to become attached. “They become your friends after a while,” she said. The greenhouse will officially be named the Wilbur V. Harlan Greenhouse in honor of Dr. Harlan, B.S. ’35, a botany major, GW instructor and an accomplished agriculture specialist with the U.S. Department of Agriculture, who conducted research in Bolivia, Turkey, Honduras and Ecuador. A dedication ceremony and reception in the greenhouse will feature food and plants from the countries where Dr. Harlan focused his work. A $9 million bequest to the Columbian College of Arts and Sciences from Dr. Harlan’s estate has helped fund the greenhouse and provide support for scholarships and summer project stipends for students studying biology. 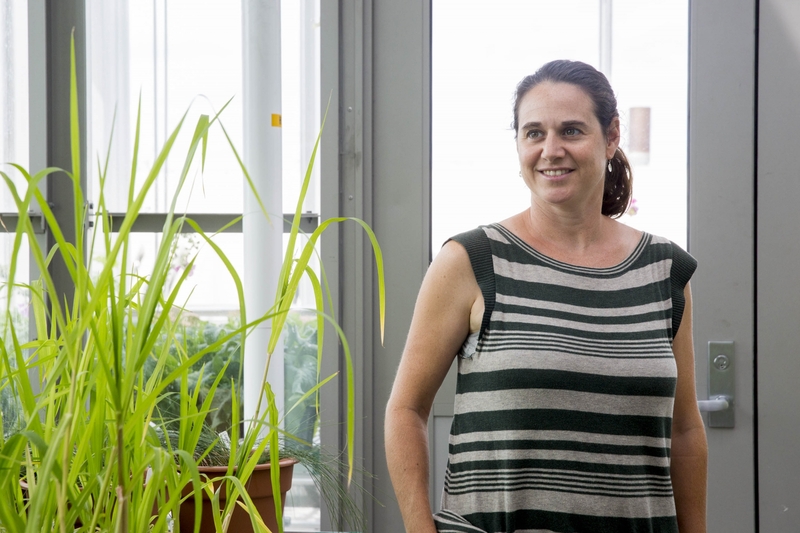 Keryn Gedan, an assistant professor of biology, is concentrating on the Eastern Shore of the Chesapeake Bay where rising sea levels have caused farmers to abandon land affected by saltwater intrusion. The rising tide also has forced thriving native plant life farther up the banks where it is encountering a new environment. Dr. Gedan’s research team collects seeds and soils from these private farms to better understand the seed bank and which marsh plants may thrive in a changing environment. They bring the collected seeds back to SEH greenhouse to grow. In these new spaces marsh plants are encountering agricultural weeds that compete with marsh species critical to the ecosystem. These abandoned agricultural fields are the wetlands of tomorrow, Dr. Gedan said, but the land loss hurts small farmers who depend on these fields. As water levels rise in these fields, the salt frees up nitrogen and phosphorus that remains in the soil from fertilizers. These pollutants end up in tidal creeks and can have a significant impact on downstream ecosystems with harmful algal blooms, fish kills and reduced water quality. Wild caterpillars face significant dangers before they ever make it to adulthood. If they aren’t scooped for food when migratory birds flood into Northern America every spring, they face threats from insects called parasitoids that use their developing bodies as a nesting ground. 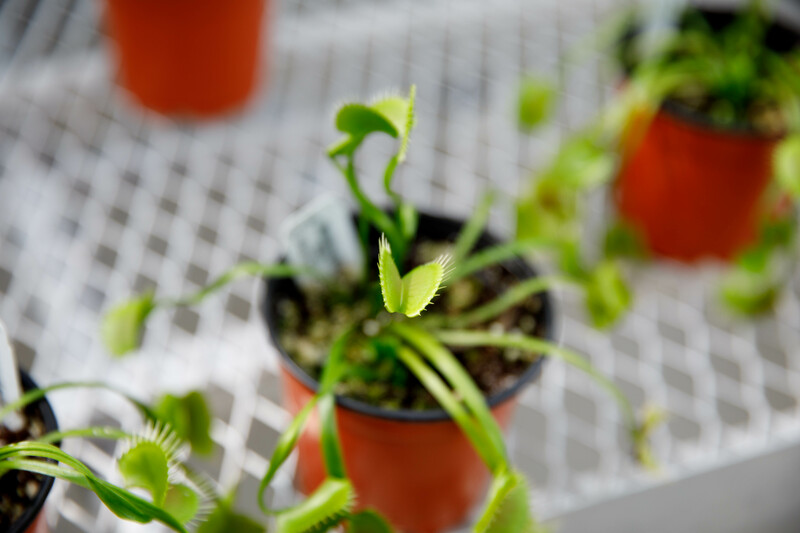 John Lill, an associate professor of biology, studies these threats to caterpillars and how their chances of survival are impacted by their plant-based diet. 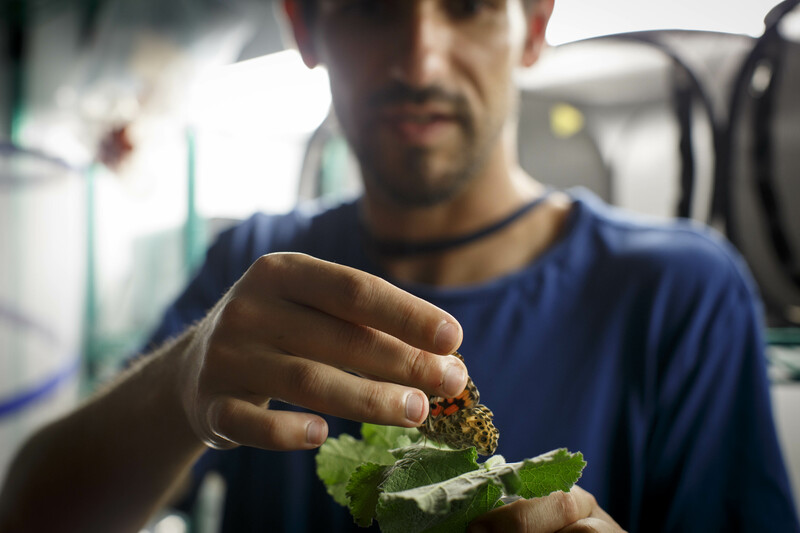 Researchers collect wild caterpillar specimens—about 3,000 every summer—and rear them in his lab. About 40 percent of those will not survive because they have become home to parasitoid larvae like wasps and flies. In the wild caterpillars eat plants, which then send out a natural distress signal that can attract parasitoids, Dr. Lill said. These insects identify some species of caterpillars as a safe place to lay eggs because of markings that communicate defensive measures like stinging that make them unattractive food for birds. 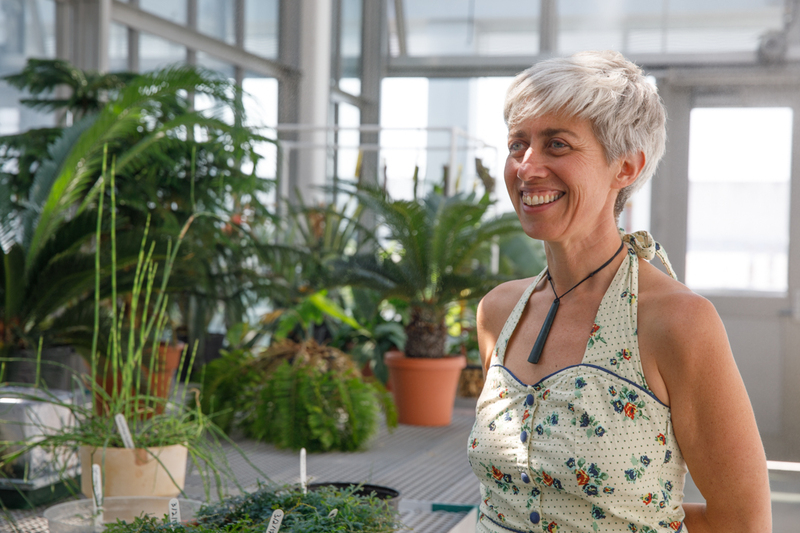 Dr. Lill is trying to understand how the choice of a host plant influences both bottom-up ecological forces like chemistry and nutrition derived from the plant, as well as top-down forces on how host plants structure the community of natural enemies that are interested in feeding on or destroying the caterpillar herbivores. “The herbivore is sort of caught in the middle with these different ecological pressures,” he said. 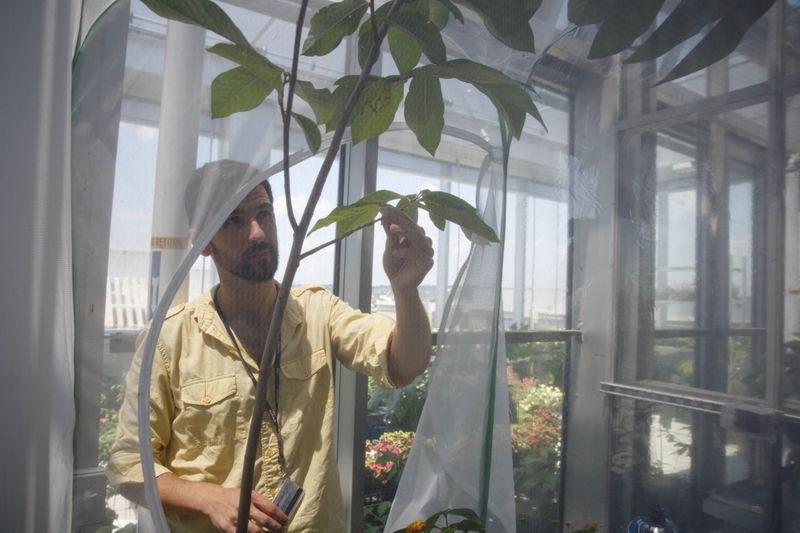 Dr. Lill uses SEH greenhouse to grow food for his caterpillars, in addition to what is collected in the wild. Dr. Lill also is growing an American chestnut tree, a species largely wiped out by a blight in the early 1990s, as part of a partnership with scientists from the Smithsonian Institution National Museum of Natural History. Scientists are looking to reintroduce the American chestnut tree, once a foundational species across the eastern United States, back into the wild by using genes from a blight-resistant relative. Dr. Lill is studying native caterpillars who used to feed on chestnut trees to see if the food web associated with the American chestnut has been residually preserved or if it suffered a total collapse. 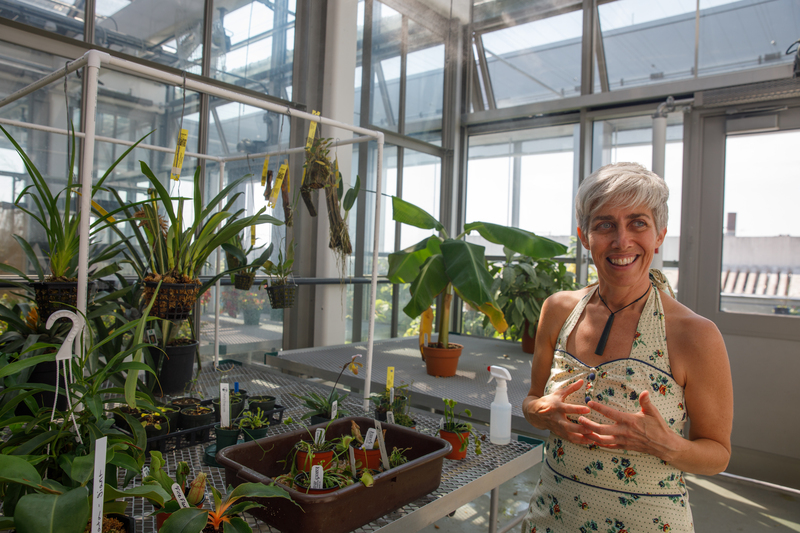 Walking through the greenhouse where Amy Zanne has plants growing to show her undergraduate students is like walking back in history. It is organized on an evolutionary timeline, so students can see the different ways plants evolved since they invaded land hundreds of millions of years ago. 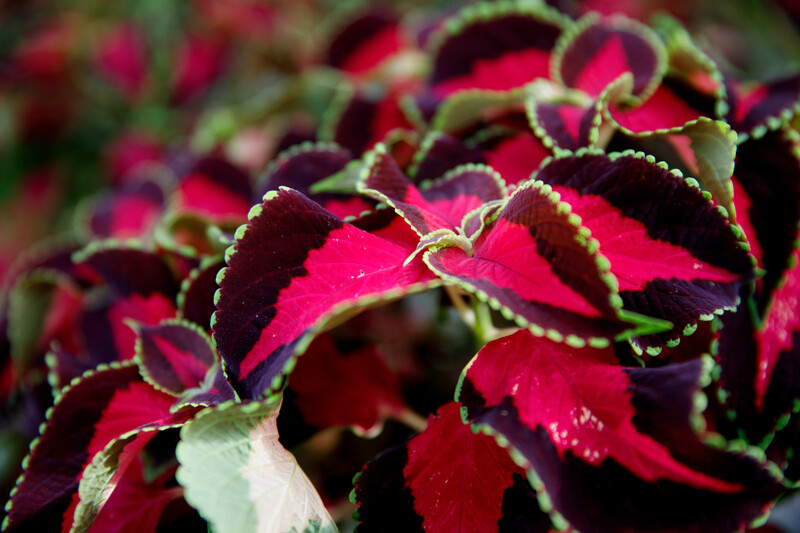 Dr. Zanne, an associate professor of biological sciences, teaches “Comparative Plant Structure and Function.” In this course, students learn how the structure of plants makes individual species equipped for growth and survival in particular settings and how that has changed over time. Dr. Zanne’s students, for the most part, are not planning to pursue careers in plant biology. 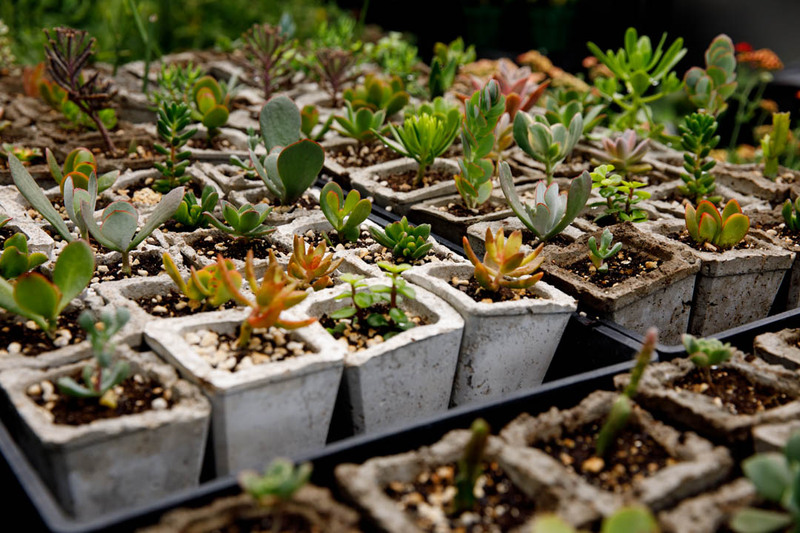 The greenhouse gives them space to explore the natural world and ask questions. 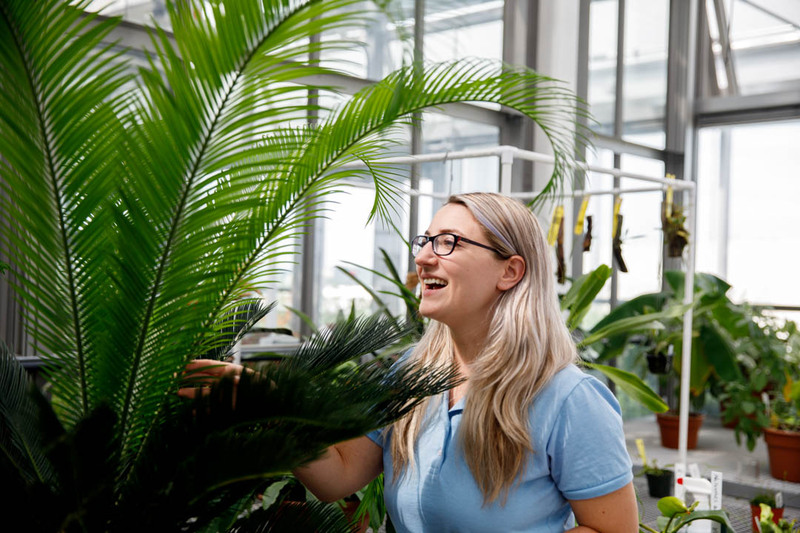 The various plants thrive in the greenhouse because different rooms can be adjusted for the specific temperature and moisture needed by different species like tropical plants, she said. Dr. Zanne’s research lab is currently looking at plant afterlives, the ways dead trees release stored carbon. Some fungi release carbon dioxide into the environment, other microbes release the more potent and heat-trapping methane and microbes some cannot break down complex carbon like lignin stored in the soil. Researchers in Dr. Zanne’s lab have been decaying organic samples and measuring how much carbon dioxide or methane is released. Dr. Zanne received a five-year grant in July to study how termites and microbes compete to break down tropical wood in Australia and how that impacts the stored carbon. Arnaud Martin, an assistant professor of biology, uses the SEH greenhouse to aid in his research on butterfly genetics and biodiversity. The greenhouse provides a vital supply of hollyhocks, passion vines, pawpaw trees, alfalfa and vetch where the different butterfly species in his lab naturally lay eggs and eat. Dr. Martin is using gene editing to study the patterns on butterfly wings. With CRISPR—a technology that can be used to cut DNA at any desired site in the genome— Dr. Martin can modify butterfly genes one-by-one and determine the function of genes in making shapes and forming colors. Researchers observe the adult butterflies with modified genes to determine how the change affected their appearance. Dr. Martin hopes this helps scientists better understand the vastness of butterfly diversity and how different species evolved. Dr. Martin is also establishing a permanent installation for a few dozen Gulf fritillary butterflies in the greenhouse. Their entire life cycle, from egg to larva, chrysalis and adult is maintained in a large walk-in cage. Adults feed on passion flowers that are both beautiful and easy to grow, he said. The greenhouse is an essential resource for Dr. Martin’s research. Dr. Martin has been using CRISPR to remove the gene WntA and has seen slightly different effects in seven species of butterfly. Researchers expected to see wing patterns shrink or become fuzzy, but instead they have seen specific color motifs disappear and shift position, he said. “It was a very fascinating result,” he said. “Together these data make a lot of sense, and tell us something important about genes and evolution. 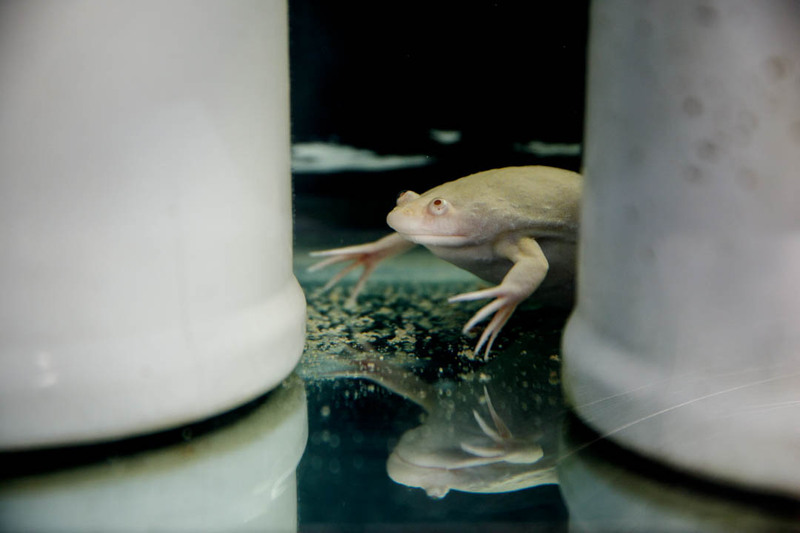 They tell us that a single gene can evolve over and over again to make novelty.” His research was recently published in PNAS.